CipherWave | There is no need to WannaCry… Block Ransomware before it reaches your data. What would the impact be if you lost all of your business data? And how much would you be willing to pay to get it back? There is a rapidly growing form of cybercrime that hinges on the answers to these two questions. Ransomware is a type of malware used for datanapping and lockscreen attacks. It encrypts your data, limiting or preventing access and then demands payment in exchange for its safe return. If payment is not made within the specified period of time, your data will be released or destroyed. Are your POPI alarm bells ringing yet? Like a worm virus, ransomware spreads from machine to machine, firstly by luring an unsuspecting user to click on a link or open an attachment. It can be spread through malicious email attachments, infected software applications and external storage devices as well as compromised websites. Not only can ransomware affect computers but also servers and cloud-based file-sharing systems, allowing it to delve deep into a business’s core. Although ransomware has been around for over two decades, it was initially limited to Russia. Its popularity and profitable business model soon found its way to other countries. In 2012, several key technological advances aligned allowing it to evolve and spread across Europe and North America. Ransom prices may vary depending on the ransomware variant and the price or exchange rates of digital currencies. Bitcoin is decentralised, unregulated and nearly impossible to trace, making it a popular choice amongst cybercriminals. Victims are advised to never pay the ransom as it only exasperates the problem and does not guarantee that the decryption key or tool required to regain access to the infected system or encrypted files will be given. 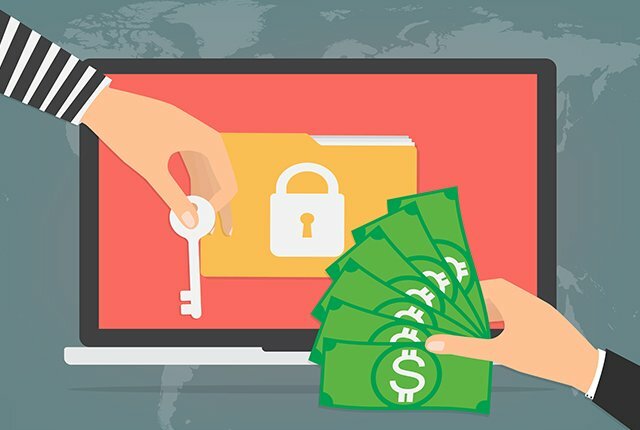 Just how lucrative is ransomware? Extremely. According to IBM, in 2016 ransomware spiked 6,000% compared to 2015 and most victims paid the hackers. It was found in almost 40% of all spam messages. 70% of business victims paid the hackers and of those who paid, 50% paid more than $10,000 and 20% paid more than $40,000. The study found that the cost of ransomware attacks amounted to $1 billion last year alone. Ensure your security software is always up-to-date. Ensure your operating system is always up-to-date. Do daily remote backups of your data. Mitigate risk through cloud services. How can CipherWave help you? SpamExperts – Email Anti-spam and Antivirus protection software. Enterprise level spam filtering on incoming and outgoing email. High-quality protection against spam, virus, phishing, ransomware and malware attacks. Email Archive – Unlimited tamper proof email storage in our secure data centre environment for up to 10 years. Never lose an email again. ESET – Provides Antivirus, Antispyware and Data Access Protection for your company’s servers. CipherArchive – Provides a highly dependable means of real-time, continuous data protection for servers, desktops and laptops effortlessly and transparently. Veeam Cloud Connect – Using reliable secure SSL connection, Veeam Cloud Connect enables companies to send backups offsite to a cloud repository hosted by CipherWave. For more information visit our website or give us a call on (+27) 11 541 9940.